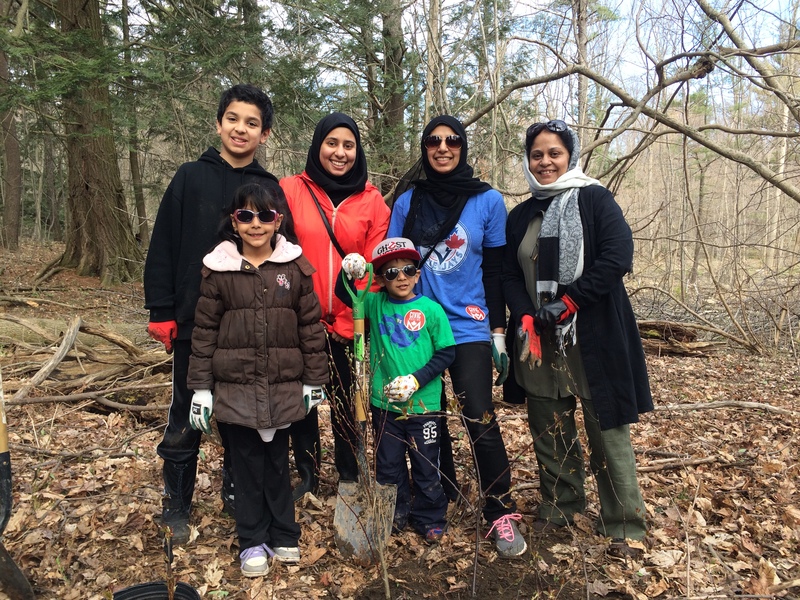 May 3, 2016 – On Saturday, April 30, Credit Valley Conservation (CVC) hosted its second annual community tree planting at Rattray Marsh Conservation Area. 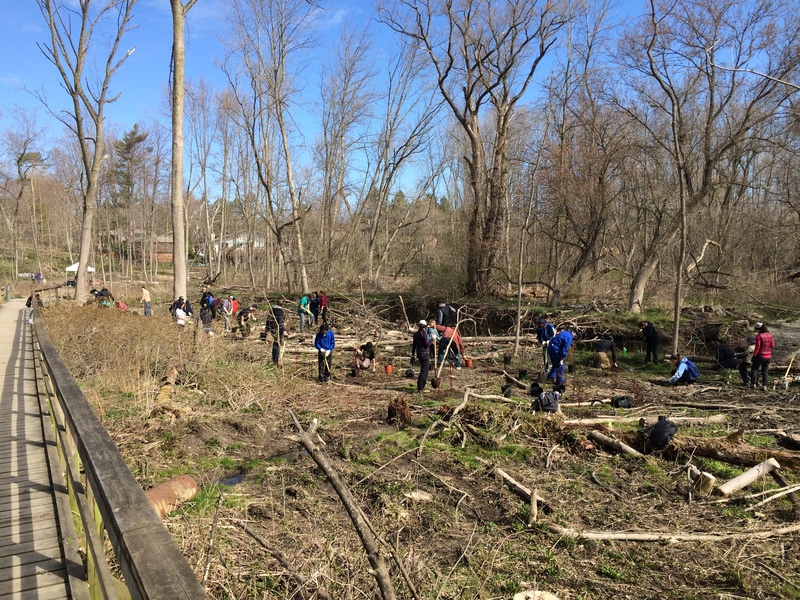 More than 120 volunteers came out to plant 400 trees and shrubs, and remove invasive species such as honeysuckle and buckthorn. More than 25 species of trees and shrubs will be planted in different areas throughout the conservation area in 2016 to boost biodiversity. “If we plant a greater diversity of tree species, the forest will be more resilient to future diseases or infestations,” said Puddister. Rattray Marsh Conservation Area was hit hard by EAB due to its high ash tree concentration. The shiny green beetle is not native to North America. It infests and kills 99.9 per cent of all ash trees. Infested trees were removed only when it was determined they could not be saved and if they posed a hazard to people on trails or private property. CVC removed infected ash trees in 2015 and early 2016. They were able to inoculate some healthy ash trees against EAB. Downed ash trees were reused responsibly as mulch, for artistic wood carvings, and other uses. Some ash trees cut down were left on the forest floor to create wildlife habitat and return nutrients back into the soil. CVC held a series of community meetings to consult with local resident on ash management activites at the conservation area. Residents provided valuable input throughout the ash tree management process.